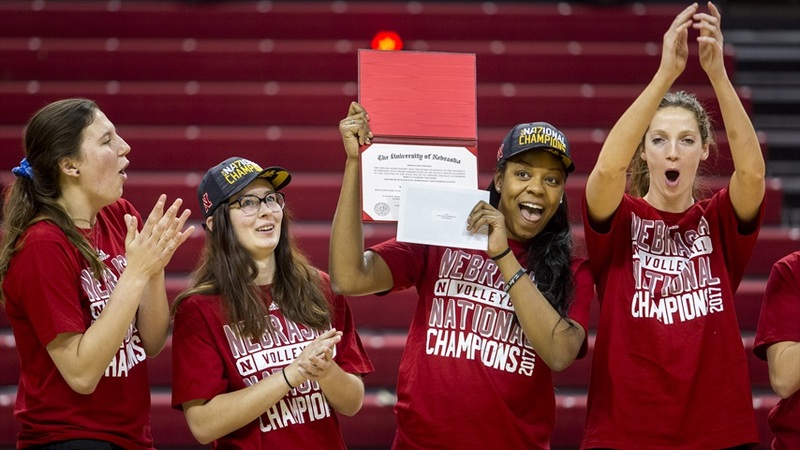 Nebraska middle blocker Briana Holman holds up her diploma during the Huskers' national championship celebration in 2017. 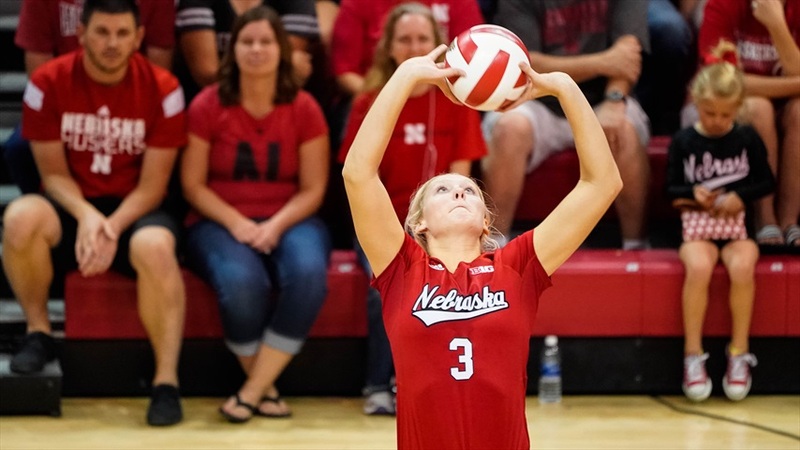 Kelly Hunter, one of the best setters in the country, put her professional career on hold to complete her graduate degree in spring of 2018. 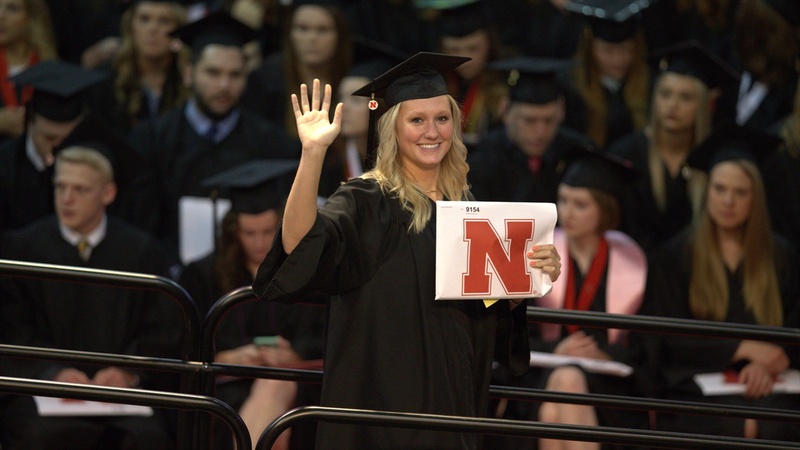 Of the 65 Power 5 intuitions, a little more than a third -- 22 to be exact -- had a comparison favoring the female student athletes. 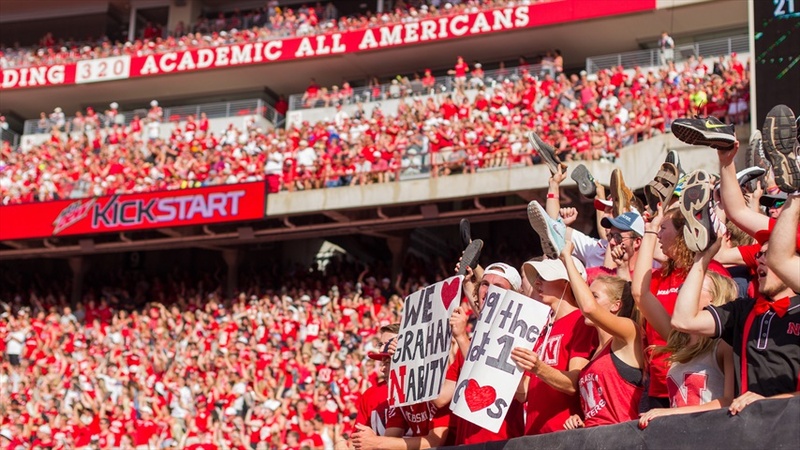 Nebraska's nation-leading Academic All-American total is recognized at Memorial Stadium.